The event started with a short introduction from Rick about TRG Talk - Project Management. The Talk is a monthly event that takes place on the first Thursday of every month. The purpose of the Talk is to equip the attendants as well as the future project managers with the much-needed knowledge in this field. Brian then took over and went straight to the main topic: "How to Ensure Effective Communication in Project Management." Brian divided all participants into 5 groups and asked each group to discuss, based on their experiences, the meaning of communication and what are the barriers that prevent them from communicating effectively. After the discussion, it was concluded that the barriers to effective communication are: Language, Background, Culture, Distance, Emotions, Tone, and Body Language. These factors play important roles as well as pose as issues when communicating between people. As a manager and the head of the project, you must not ignore these elements. The first requirement in ensuring communication effectiveness is considering the needs of your audience. Put yourself in their shoes and anticipate what they need to understand, then only provide that knowledge. You need to know who your audience is before starting a conversation. You can’t talk about business issues with your technical workers. Most of us use our ears to hear but to what extent do we actually listen? Can you tell the difference between Hearing and Listening? 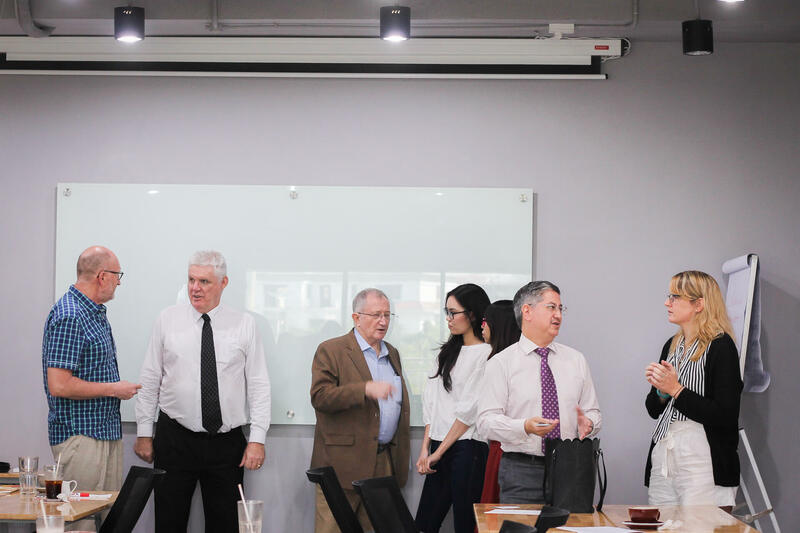 It is not only about speaking and giving orders for project management but also about listening to the needs and requirements of the project stakeholders. By actively listening, a project manager can acquire needed information, identify and clarify issues, make the right decisions, and resolve conflicts. Practising mindful listening can immensely contribute to stakeholder satisfaction and the project team receptiveness. 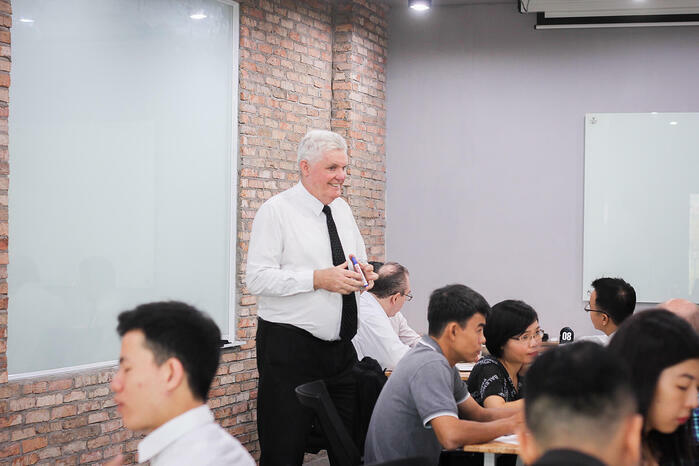 Brian advised the participants to listen to the employers, the project managers, and let everyone in the team give their inputs to understand each other. Who do you need to communicate? This is based on the communication formula and needs to be determined. What do you need to communicate? Do you need to deliver every piece of information to your team? When should it be communicated? The timeline the talking should take place. Keep in mind that the timeline should be also closely monitored. Where should it be communicated? If the team involves many people, then individual level and team level communications need to be resolved. Why is it essential to communicate, and to what level? Why is it not encouraged? Why is nothing changed yet? How does communication need to be done? Should it be conducted via e-mail, phone, or via presentation? Body Language, Timing, and Tone are also essential to effective communication. Remember, before you start a project, you need to make a communication plan which encompasses these elements if you want to achieve success. One of the participants shared her experience with a client, who never responded to her queries every time she tried to reach out to them. 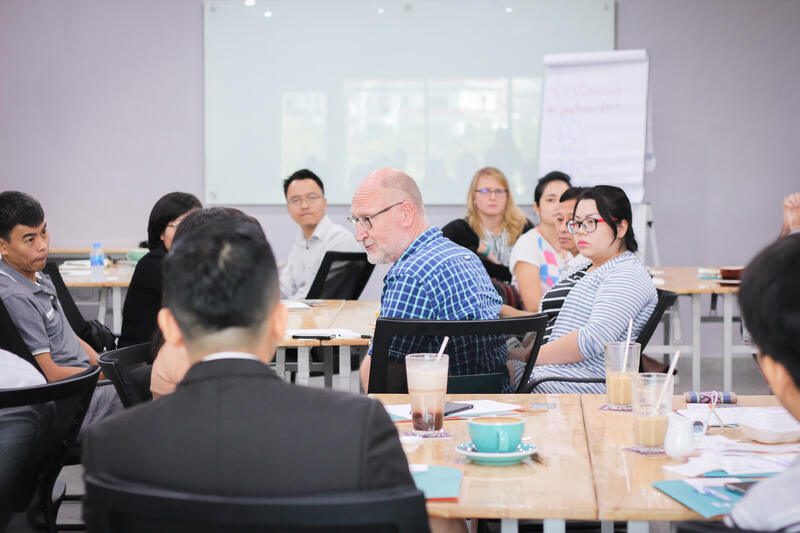 All other participants came up with suggestions on how to resolve the issue: First of all, she needs to understand what is important to her clients, what is their top priorities because they all have their own busy schedule. They won’t call for a meeting unless it's important enough to them. Or perhaps, the issue you got is essential to you, but to them, it's not. Therefore, before starting any conversation, she needs to think of the reason that makes them want to reply back. Read more: "Why Do Projects Fail?" At the end of the discussion, Brian added his opinion: Escalate the issue to her manager before the matter gets worse. If it gets worse, it will be your fault for not raising the issue. Project manager is a job that demands a varied and vast skill set and it can really be an exhausting and nerve-wracking job, especially with all the responsibilities included in the role. And once you allow its stress to consume you, your performance, as well as your health would likely be affected and even lead to worse long-term effects. 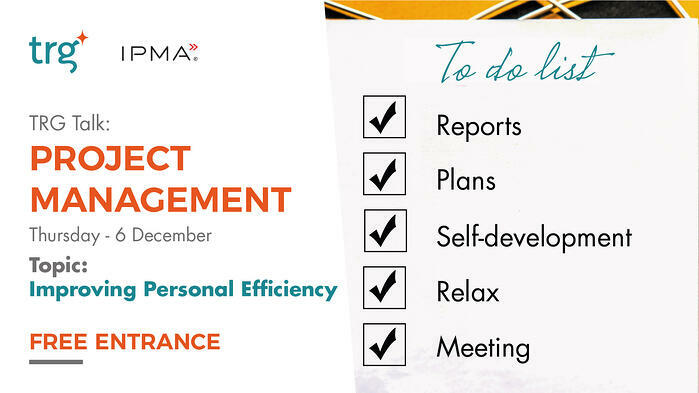 TRG Talk – Project Management this month with the topic “Improving Personal Efficiency" brings you coaching concepts and how to apply them to boost your personal efficiency as well as how to align your personal goals, priorities, activities and more. These are useful know-how for any professional who wants to improve results both in the professional life and personal life. By registering to reserve your seat today, you also have a chance to receive a complimentary whitepaper, written by our experts: "Project Management Guidebook”.